Chamber members, drawn at random, are highlighted in free monthly columns produced by the Chamber and the Sylvania Telephone. To include your business in the drawing, you must be a Chamber member. Join today by contacting the Chamber office at 912-564-7878! And now, this month’s spotlight…. How has being a Chamber member helped you and the school? Being a chamber member has helped me keep up with the local community. Many times we get so busy in our world and our own responsibilities that we lose track of what is going on in the outside world. 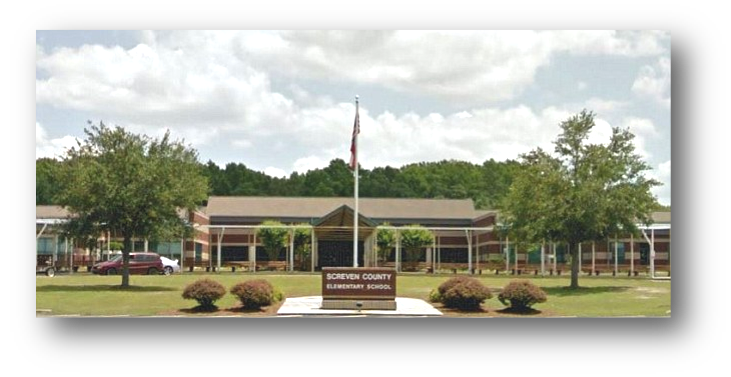 What inspires you to walk through the doors at Screven County Elementary School every morning? What most people probably don’t know about me is that I actually enjoy coming to work every day. I don’t necessarily enjoy every minute or encounter, but I do enjoy what I do. What’s the most difficult moment or challenge you’ve faced in your occupation? We do face some very difficult circumstances or situations that break your heart. Losing a staff member or a student before their time is always difficult to manage and you are never fully prepared to deal with. It also tough to see many children coming from very difficult situations beyond their control. Your heart goes out to them and you wonder how they are able to keep it together. Is there anything about you or the school that you feel citizens don’t realize, but should be aware of? I think something that most people don’t realize about my staff is the amount of work they do outside normal hours and the amount of stress that they feel to have their children perform. They take a great deal of pride in what they do. They want our students to do their best and have a great future. There are good people here at the elementary school.